Product prices and availability are accurate as of 2019-04-10 09:05:07 EDT and are subject to change. Any price and availability information displayed on http://www.amazon.com/ at the time of purchase will apply to the purchase of this product. Please check the ISBN that your instructor provided. If the ISBN-13 does not match this product (9781133935650) this may not be the correct product. In some cases, you may also require a course code from your Instructor. LabConnection for Security+ Guide to Network Security Fundamentals, 4e is packed with powerful online exercises, simulations, in-depth remediation capabilities, and even grading and record tools--making it ideal as a virtual lab and homework assignment tool. LabConnection reflects the latest developments and advances from the field. 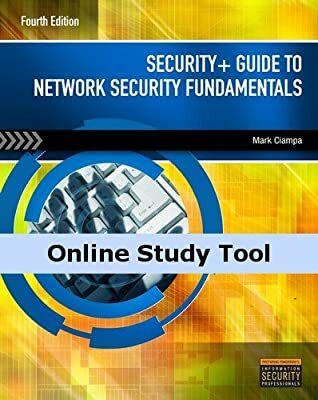 It fully supports Cengage Learning's best-selling Security+ Guide to Network Security Fundamentals, 4e as well as the most recent CompTIA Security+ certification exam, and offers remediation toward both. This dti Publishing system enables exercises and labs to be embedded within the curriculum and instruction, and can be built into a distance learning course. LabConnection is also available as an institutional version with full learning management capabilities. ISBN: 9781133935650 Access to this product is valid for 365 days after initial login. After this period, this product can be viewed under the "view expired" link in your CengageBrain account.